Isn’t it hard to find a quality thread serging machine? Do you feel overwhelmed by your options when you start looking for one? 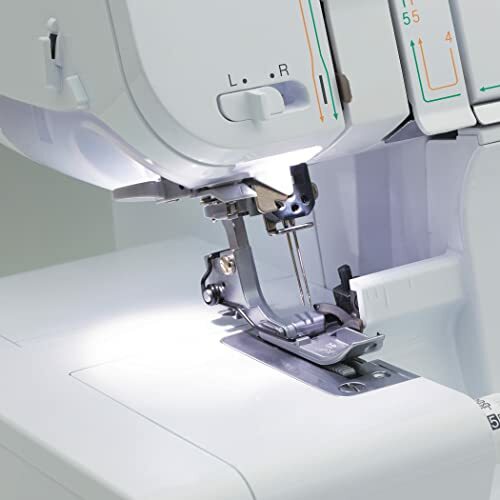 Whether you’re just starting out or are an expert finding a good thread serger can be a daunting task. What if we tell you there was a machine which is high performance and reliable? In fact, what if it gave a great return on investment? 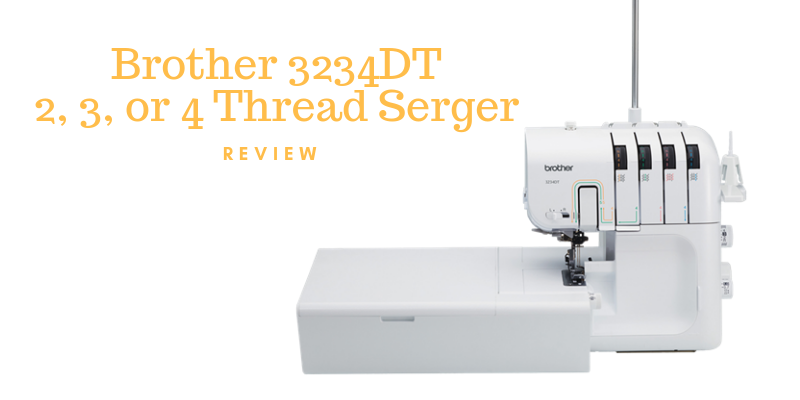 Let’s find out more about the much-loved Brother 3234DT-2-3 or 4 threads Serger. Let’s figure out why people are so fond of it and if you should go for it! Let’s take a look at the machine’s different perspectives! The white tone and black detail give the machine a very polished and professional look. This machine is also very light as it weighs only approximately 20 pounds. Therefore, it is easy to carry from room to room if required. Everything is color coded and very well labeled, making it very easy to work with. It comes with an ample amount of built-in storage. So, you don’t need drawers to store your sewing paraphernalia. Instead, you can store it within the machine itself. What is the best part about it, you ask? It comes with many accompanying accessories! Here’s a little about the brand you’re buying from! Brother is a subsidiary of Brother Industries Ltd. having a history that dates back to 1908. They currently are a prominent supplier of sewing, embroidery, as well as serging equipment of the world. Their brand is internationally renowned for its high quality, durable, reliable, affordable and innovative machines, and accessories. In addition, their brand motto is providing flexibility in prices and easy-to-use equipment for individuals of every skill level. The warranty for this machine is of 1 year from the date of purchase. On the other hand, for the consumables and accessories accompanying the machine, it is 90 days from the purchasing date. So, the warranty doesn’t last for very long. The most distinguishing feature this model has, compared to its competitors, is its capability of working with 2, 3 or 4 threads. This option gives you more creative freedom and more stitch. Moreover, you can work with a really delicate fabric with the 2 thread capability. For a hassle-free threading experience, a color-coded mechanism is the best component to add to an already outstanding machine. 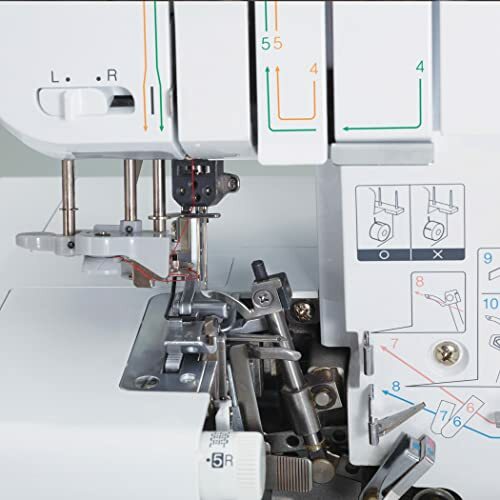 As a result, changing the thread becomes really quick as it is easy to follow the well-labeled threading system. The illuminated workspace aids in seeing the fabric clearly. Above all, now you won’t burn your hand while accidentally touching the bulb! It is no longer a standard bulb but a LED which is cool to the touch. Furthermore, the LED is a broad spectrum white light instead of yellow for better illumination. This might just be the most appreciated feature out of all. It is not commonly observed on such affordable sergers but is limited to more expensive ones. A large extension table gives users extensive storage to store their tools while working without worrying about extra drawers. Furthermore, it’s easier to work on larger projects without you having to worry about losing fabric pieces or tools. The needle threader remains stationary while you thread the needles with the assistance of a lever. This works like a dream! This makes rethreading really easy and fuss-free in case your thread breaks mid work which is otherwise rather frustrating. Along with a very practical standard foot, there is a gathering foot included as well. A standard foot is generally used for many serging purposes. Meanwhile, a gathering foot can perform fabric bunching, and edge finishes in one step! With the aid of this pressure dial, the height of the presser foot can be adjusted according to the varying thickness of the fabric. A blind foot assists in creating more seamless and virtually invisible blind hems. As a result, it gives the fabric you’re working on a more professional finish. It couldn’t be emphasized enough to read the manual and watch the video! This makes learning to use the machine so much more user-friendly. Initially, it may seem like a difficult task for someone just beginning to get familiar with the enterprise. It’s also well thought through and easy to follow accompanied by many close-ups. What’s the real story though? Is there a catch? Let’s sum it up with some pros and cons and a final verdict. Get yours today on Amazon for an amazing price! Similarly, you can check out Brother’s official store to get your hands on the machine. You’ll also be able to find the machine in local stores easily, given its popularity. 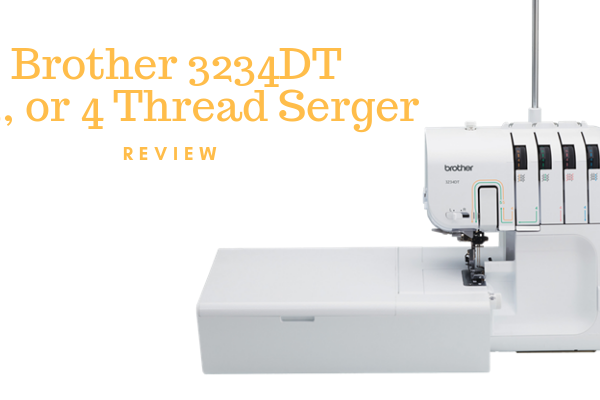 Brother-3234-2-3 or 4 threads serger has much more value for its price. This machine is all your prayers for a high quality, high-performance serging equipment answered. Moreover, the pros largely outweigh the cons, and it offers much more features than the competing machines at this price range. 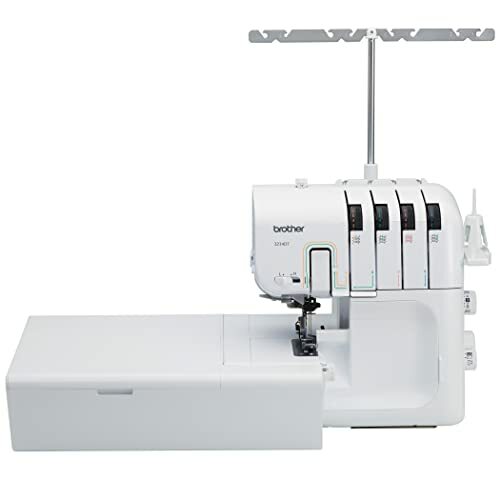 For all the sewing enthusiasts, this machine is a great buy. It is also an amazing addition to your sewing equipment and would make a great gift for someone who would appreciate this!